Hexagon Studio is ready to provide distinguished end products through unique engineering solutions. The company was founded in 2006 with the vision of becoming one of the leading R&D centers in Europe by 2020. Hexagon Studio aims to provide sustainable and unique solutions for its industry stakeholders as an engineering solution partner in transport, defense and marine industries. Starting with “Conceptual Design”, the company provides turnkey engineering solutions throughout the complete product development cycle with its experienced personnel and technology-based infrastructure. Shaping its investments in conjunction with its increasing R&D capabilities, Hexagon Studio became entitled to receive the Research and Development Center Certification by the Ministry of Science, Industry and Technology in 2011. One of the major goals of the company is to advance Turkey’s potential in engineering one step further in the world with its qualified and experienced human resource as well as its R&D infrastructure. Hexagon Studio has the capacity of executing several projects concurrently and has the ability to solve its periodic additional resource requirements due to its project management capability. The company possesses the infrastructure to produce 1:1 and/or scaled models, static/functional prototypes in the context of design and development projects thanks to its model and prototype workshop. This integrity always keeps Hexagon Studio one-step ahead in creating turnkey solutions for its customers. Hexagon Studio, which plays an active role in national defense industry projects, those that are planned and executed within the scope of Vision 2023 strategies, has been a preferred solution partner since 2008 because of the added value it provides for indigenous projects. The company received Facility Clearance Certifications at National and NATO Secret Levels in 2013 and hence proved its reliability in the defense sector. 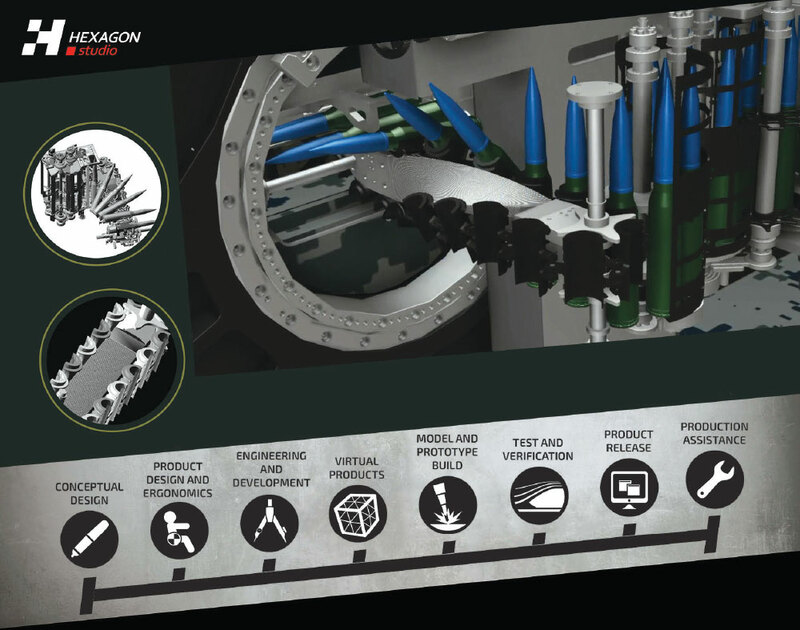 Conceptual design of a bridge console for a ship, weight/durability optimization of an armored tactical vehicle, design and development of ammunition transfer mechanisms for weaponry of different calibers, development of turrets for depth charge launchers, shock absorbing systems for surface combat platforms, and design and production of test and simulation platforms are the major projects that Hexagon Studio has completed successfully so far. The company has the intention to transfer its current know-how and experience that it gained in composite boat design and development to new projects in the defense industry. 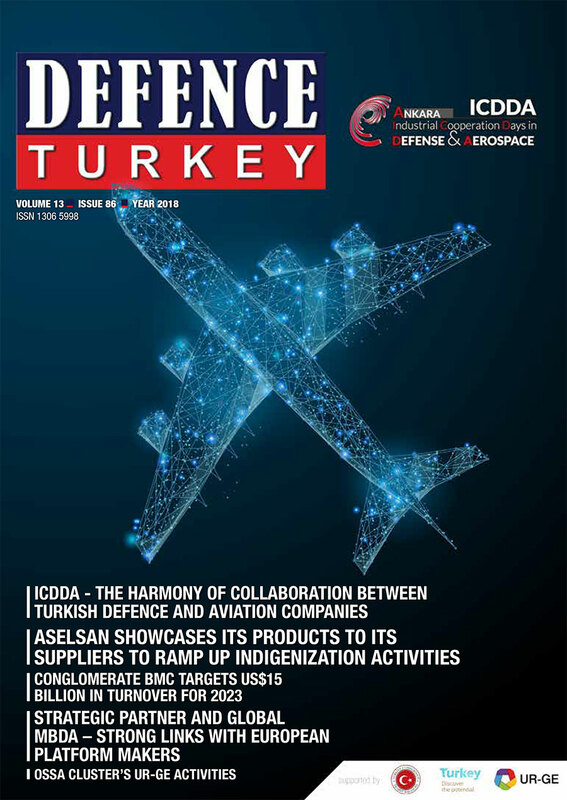 Hexagon Studio, which is the largest independent engineering company in Turkey has completed 9 R&D projects since 2010 and is currently running 9 R&D projects that are being funded by TUBITAK. The company has also 3 R&D projects that are being funded by SANTEZ, which is an R&D fund by the Ministry of Science, Industry and Technology. Hexagon Studio transferred 85% of its net income to R&D expenditures so far, and continues to invest in its qualified human resource capital that reached 260 at the end of 2017. Hexagon Studio is capable of transferring its engineering know-how based on R&D to multinational projects that are funded by the EU. The company was a project partner in the “DirectSpare” project during 2009 – 2012 in the 7th Framework Program. The project consortium consisted of 15 corporations and institutes from 7 countries. The scope of the project was to define an alternative supply method based on on-site production through additive manufacturing. Hexagon Studio is currently a project partner in the “MorEZero” consortium in the ERA-NET Transport Program and “Amalthea4Public” in the EUREKA Program. Hexagon Studio has 2 patents that are already registered by the Turkish Patent Institute under the company’s name. The company’s 10 patents are pending. Moreover, the company has 21 design patents that were registered locally, in the EU and in the United States. Additionally, its 13 design patents are pending.